« Primary PCI gimmicks :Thrombus jailing and . . .controlled release of thrombus ! A comprehensive , evidence based . 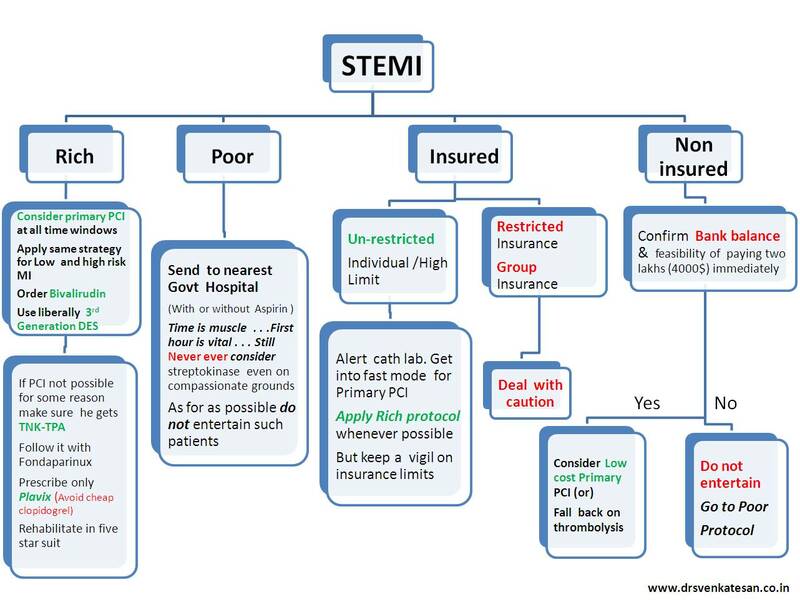 . . “unethical” STEMI guidelines ! Acute MI kills a few million people world-wide every year .It does not differentiate rich from poor. Logic would tell us , principles of management should not differentiate the people when dealing with a myocardium in distress . Unfortunately , we scientists do it with passion ! The problem is enormous . . . the rich is suffering from too much* care and the poor is suffering from want of care ! The following flow chart is a result of my observation from close quarters about the management strategies in corporate as well as Govt hospitals . Please bear with me . . . if the stuff sounds too crazy ! I don’t agree. I am doing many PCIs and the number increasing. Most of the patient in my hospital belongs to middle to low socioeconomic status. But there are some hospital policies, Patient has to pay, and if I do PCI and patient did not pay the cost, then I will be blamed, I have to face many questions. Yes its true, we feel secured with “rich” patients, but I don’t discriminate. 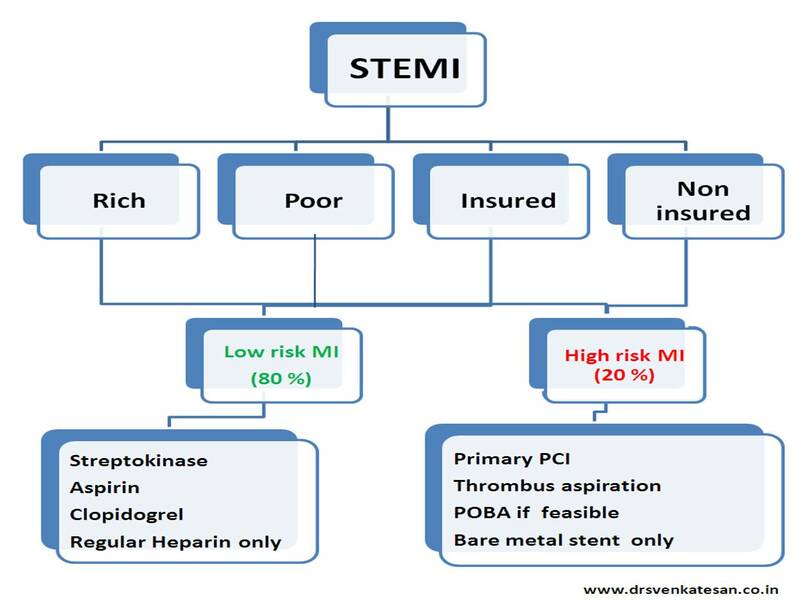 Interestingly, so called “poor” patient cann’t afford PCI cost and they receive Steptokinase and do well with ‘cheaper’ trombolysis.